Photo caption (from left to right, above): Mr. Gary Krishnan, Country Specialist, ADB, Mr. Yogaanandh Tanggaraju, Deputy Director, Danish Energy Efficiency Partners; Mr. Mukesh Kumar Ray, Regional Lead-UJALA, EESL India; Mr. Nitin Bhatt, Regional Manager-UJALA, EESL India; Mr. Raj Kumar Rakmra, National Program Manager-UJALA, EESL India; Dr. Suhana MD Saleh, Deputy Director, Regional Development Section, Prime Minister’s Department, Economic Planning Unit; Mr. Balamurugan Ratha Krishnan, Deputy Director, Centre for IMT-GT Subregional Cooperation. Photo caption (from left to right, below): Dato Dr. Dionysius S.K. Sharma, Executive Director, WWF-Malaysia, Mr. Ki-Joon Kim, Transport Specialist, ADB; Datuk Wira Haji Md. Yunos bin Husin, Melaka State Executive Council for Higher Education, Science &Technology, Green Technology; Dato Roslan Ibrahim, State Government of Melaka; Dato’ Wira Osman Muhammad, Speaker, State Government of Melaka; Hon. Datuk Sri Utama Ir. Hj. Idris bin Hj. Haron, Chief Minister of Melaka; Datuk Allauddin Hj. Anuar, Deputy Director General (Sectoral) of the Prime Minister’s Department, Economic Planning Unit of Malaysia; Shri Nikhilesh Chandra Giri, Deputy High Commissioner, High Commission of India; Ambassador Satish Mehtra, Indian Foreign Service, Senior Advisor, Energy Efficiency Services Limited; Datuk Hj. Kamaruddin bin Hj. Md. Shah, CEO, Melaka Green Technology Corporation; Mr. Emani Kumar, Deputy Secretary General, ICLEI-Local Governments for Sustainability. Building upon the success of Millennium Development Goals (MGDs), the United Nations (UN) has identified 17 Sustainable Development Goals (SDGs) and crafted the 2030 Agenda for sustainable development. The SDGs are grounded in the concepts of livability and balanced development. The SDGs were adopted by the world leaders signing Paris agreement during the United Nations Framework Convention on Climate Change, 21st Conference of Parties (UNFCCC-COP21) held at Paris in October, 2015. Since January 1, 2016 the SDGs are officially in force. Although the Paris agreement is not a binding agreement all parties are nevertheless required to periodically report their progress on sustainable development. The Paris agreement strongly encourages all parties to take collective actions for sustainable development. This Green Cities Conference will bring together key stakeholders from the Indonesia-Malaysia-Thailand Growth Triangle (IMT-GT), Brunei Darussalam-Indonesia-Malaysia-the Philippines East ASEAN Growth Area (BIMP-EAGA) and Greater Mekong Sub-region (GMS). It will provide a common platform to ASEAN stakeholders for showing a united front for aligning their green growth efforts according to SDGs. The conference marks an important milestone in the roadmap towards multiplying the impacts of green growth through livable and green cities in the ASEAN region. The event will be highly interactive and it will champion the strategic importance of introducing Green City Action Plan (GCAP) approach in the member states of ASEAN network. The conference is jointly organized by the Asian Development Bank (ADB) and Green Growth Asia (GGA). Collaborative networks play a catalytic role in the wider adoption of innovations and replication of best practices. The Association of South East Asian Nations (ASEAN) already represents an experienced collaboration of ten South East Asian member states1. In August 2017, the ASEAN will be celebrating five decades of its establishment, which in itself is a landmark achievement and a reflection of the strong association and cooperation between its member states. The historic cooperation between ASEAN member states provide a unique opportunity for accelerating green growth in the region. The three important ASEAN sub-regions the IMT-GT, BIMP-EAGA and GMS has made independent efforts for integrating sustainable development within their own regions. However, the ASEAN region can approach even more resolutely the SDGs by combining the knowledge, resources, experience and skillsets available in its sub-regions. Over the past three years the IMT-GT has implemented several initiatives for promoting green growth in the IMT-GT sub-region. In 2014, the first Green City Action Plan (GCAP) in the region was prepared for the city of Melaka. 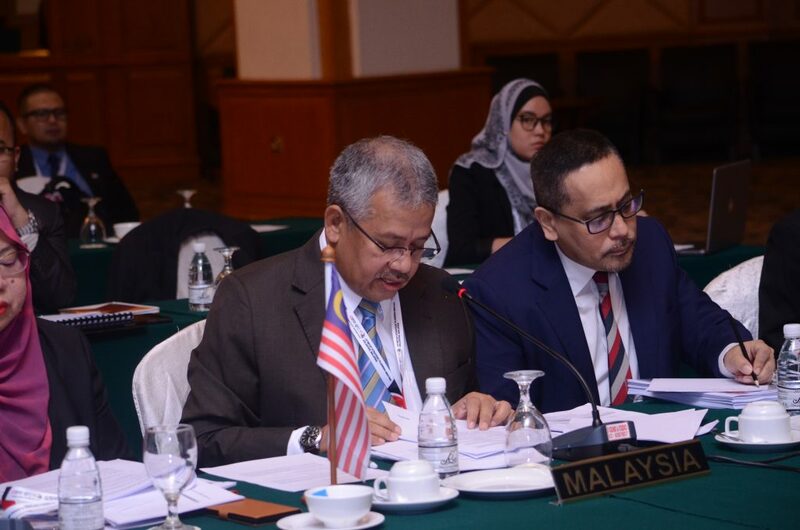 The GCAP, Melaka was supported by the ADB and was prepared in close cooperation with the Centre for Indonesia-Malaysia-Thailand Growth Triangle (CIMT) Sub-regional Cooperation. This conference provides a podium for sharing the GCAP experience of Melaka with the stakeholders at regional level for possibilities of replication across ASEAN countries and others. This conference will serve as an important regional platform for disseminating lessons learned from GCAP Melaka. Building upon inspirational examples and own experience, the ASEAN member states can jointly lead the path towards green growth in Asia. Introducing GCAP in the ASEAN network will not only benefit sustainable development by accelerating partnerships, but it will also help in advancing innovations for sustainable development in the region. 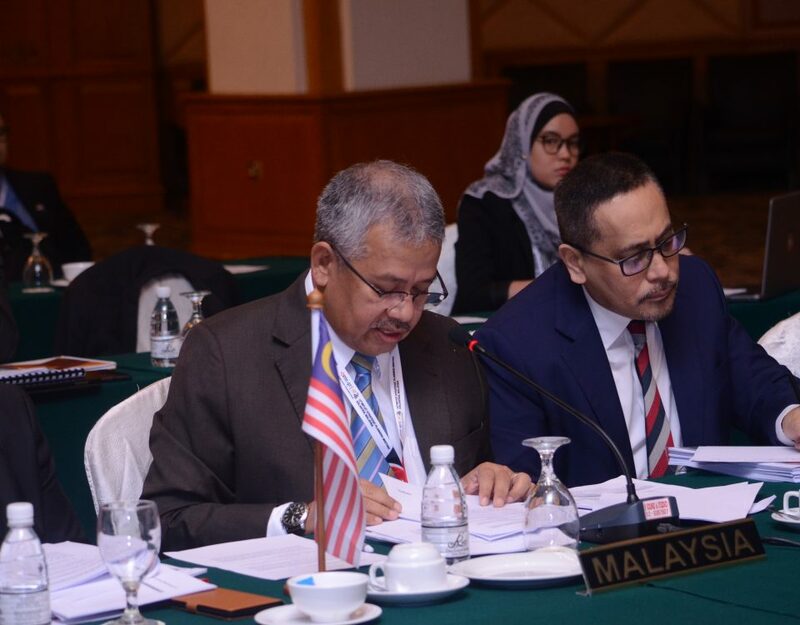 Having an established network of ASEAN member states is a unique strategic advantage for promoting sustainable development in the entire region. 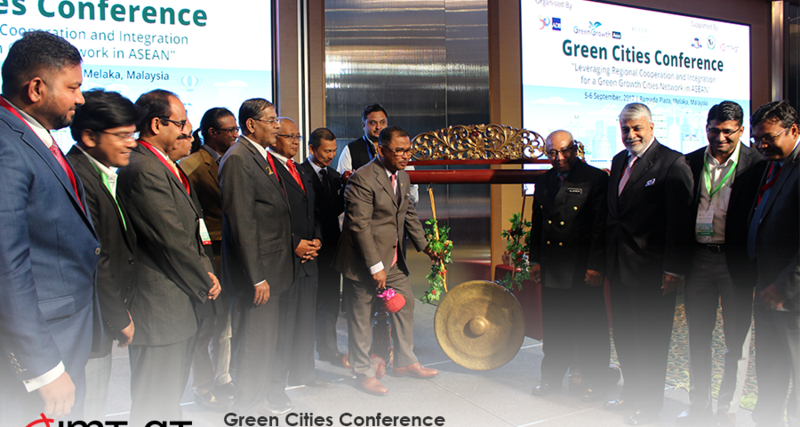 This conference is envisaged as a seeding opportunity for initiating the ‘ASEAN Green Growth Cities Network’. The main objective of the conference is to create a network of green and livable cities in the ASEAN region. Thematically, the conference is divided into two parts: (1) Policy dialogue, Planning and Programs for Green Growth; and (2) Green Growth initiatives and country experiences. Each of the two days of the conference are dedicated to a thematic area, respectively. Thematic sessions will offer a comprehensive overview of the entry points and opportunities for creating a Green Cities Network in ASEAN. For event photos, kindly like our Facebook page.